Silica is used in various industries for its abrasion resistance, electrical insulation and high thermal stability. Ultrasonic dispersing helps to use the potential of silica by improving the dispersion quality. Silica (SiO2) is a multi-functional ceramic material that is being used in various industries to improve surfaces and mechanical properties of diverse materials. It is used as a filler, performance additive, rheological modifier or processing aid in many product formulations, such as paints & coatings, plastics, synthetic rubber, adhesives, sealants, or insulation materials. 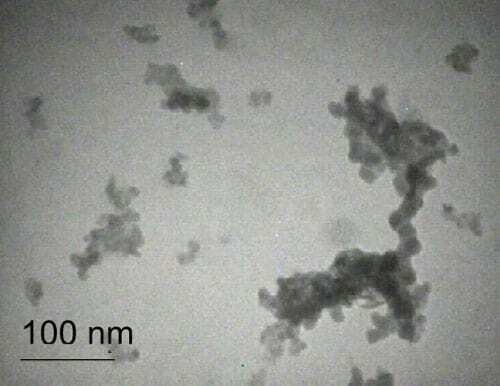 In particular silica fume (amorphous silicon dioxide) or microsilica is being added to concrete in order to improve the concrete strength and durability. Silica fume is also being used in refractory concretes to reduce porosity and to enhance strength by improved particle packing. Silica is available in a wide range of hydrophilic and hydrophobic forms and is typically used in extremely fine particle size. Typically silica is not well dispersed after wetting. It does also add a lot of microbubbles to the product formulation. For most silica applications, a good and uniform dispersion is important. In particular when being used in coatings and lacquers to improve scratch resistance, the silica particles need to be small enough not to interfere with the visible light to avoid haze and maintain transparency. For most coatings silica need to be smaller than 40nm to fulfil this requirement. For other applications, particle agglomeration hinders each individual silica particle to interact with the surrounding media. Ultrasonic processing has been proven to me more effective in the dispersing of silica than other high-shear mixing methods. The picture below shows a typical result of ultrasonic dispersing of fumed silica in water. The measurements were obtained using a Malvern Mastersizer 2000. Starting (green curve) at an agglomerate particle size of more than 200 micron (D50) most of the particles were reduced to less than 200 nanometers. The obvious tailing to the right, results from the material composition (agglomerates and larger primaries). While the agglomerates are reduces easily, it takes longer processing to grind down larger primary particles. 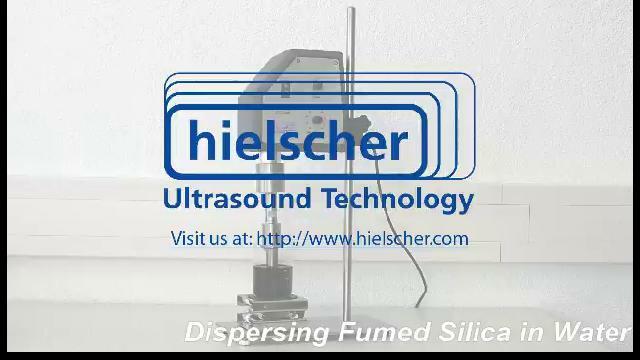 The processing efficiency of ultrasound in the dispersing of silica was compared with other high-shear mixing methods, such as an IKA Ultra-Turrax by Pohl and Schubert. Pohl compared the particle size reduction of Aerosil 90 (2%wt) in water using an Ultra-Turrax (rotor-stator-system) at various settings with that of an UIP1000hd (ultrasonic device) in continuous mode. The graphic below shows the results. Please use the form below, if you wish to request additional information regarding the use of ultrasound in dispersing of silica. We will be glad to offer you an ultrasonic system meeting your requirements.